For decades, the American Express® Centurion® Card — colloquially called the “Black Card” — has been the poster-card for casual wealth. Between the sky-high credit limits, invitation-only approval, and sleek titanium composition, the Centurion® Card is capable of captivating audiences (and eliciting envy) everywhere it goes. In 2016, Chase decided to try its own hand at crafting metallurgic masterpieces. The global credit card issuer released one of the first metal credit cards available to the general public: the Chase Sapphire Reserve®. The card was an instant hit — and continues to be an in-demand addition to many wallets today. 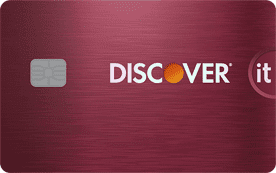 The few consumers who aren’t drawn in by the card’s extensive rewards and exclusive travel benefits are often won-over by its metal-alloy composition and smooth finish. While the shine and the heft of the Chase Sapphire Reserve® may be the initial draw for many admirers, the card’s hefty $450 annual fee would certainly send them back on their way if looks were the only thing this card had to offer. Thankfully, the Chase Sapphire Reserve® has more than just an attractive alloy — it has pretty hot purchase rewards, too. In particular, the Chase Sapphire Reserve® is a part of the popular Ultimate Rewards® points program, which many travel experts applaud for its high-value points and flexible redemption options. And the Chase Sapphire Reserve® can make those points even more valuable, unlocking a 50% redemption bonus when you use your Ultimate Rewards points for travel through the Chase portal. And that’s hardly where the travel rewards end. The Chase Sapphire Reserve® offers 3X Ultimate Rewards® points per dollar spent on travel expenses (which also happens to be 3X more than that old Centurion Card). And the Chase travel category is remarkably broad, covering a huge range of merchants from hotels and airlines to bus tickets and car rentals. And, of course, when you’re always on-the-go, you probably tend to eat out quite frequently. Well, the Chase Sapphire Reserve® has you covered here, too, offering 3X Ultimate Rewards® points on your dining and restaurant purchases. And like the travel category, Chase’s dining category covers a wide range of merchants, including both full-service and fast-food restaurants. You won’t lose out on non-bonus-category purchases, either. Your Chase Sapphire Reserve® provides you with unlimited 1X Ultimate Rewards® points per dollar spent on all other purchases made with your card. Even better, there’s no cap on the number of rewards you can earn, and your rewards points won’t expire so long as your account remains open and in good standing. As any credit card churner can tell you, the credit card signup bonus has pretty much revolutionized credit card rewards by giving you a quick way to pack on the points. And it’s no surprise that the Chase Sapphire Reserve® has been no exception to the rule, with its initial 100,000 point signup bonus garnering almost as much buzz as its weighty design. While the current 50,000-point bonus for the Chase Sapphire Reserve® isn’t quite as lucrative as it was at launch, the card still offers a significant number of bonus points to those who can meet the spending requirement in the first 90 days. And that signup bonus can be particularly lucrative when redeemed for travel through the Chase Ultimate Rewards® portal, or when transferred to one of Chase’s hotel or airline partner programs. If the eye-catching metal alloy, multi-point purchase rewards, and attractive signup bonus aren’t enough to lure you into applying for the Chase Sapphire Reserve®, then the host of perks and benefits that come with being a cardholder may be enough to sway you to the Chase side. And it all starts with the perk that cuts that $450 annual fee down to size: the annual travel credit. Specifically, each year you remain a cardholder, you’ll receive a $300 travel credit, automatically applied as a statement credit, for any eligible travel expenses charged to your Chase Sapphire Reserve®. This encompasses any purchases that fall into the travel category, including airline tickets, hotel rooms, and car rentals. For those who take advantage of this credit each year, the $300 travel credit can turn a $450 annual fee into an effective $150 annual fee. And the travel credit is just the tip of the iceberg. With your Chase Sapphire Reserve®, you’ll also receive up to $100 statement credit every four years as reimbursement for the application fee for Global Entry or TSA Pre✓®, helping you cut the long airport lines and get where you’re going. And no waiting in noisy airport terminals for your flight; Chase Sapphire Reserve® cardholders enjoy complimentary access to over 1,000 Priority Pass™ Select airport lounges worldwide. 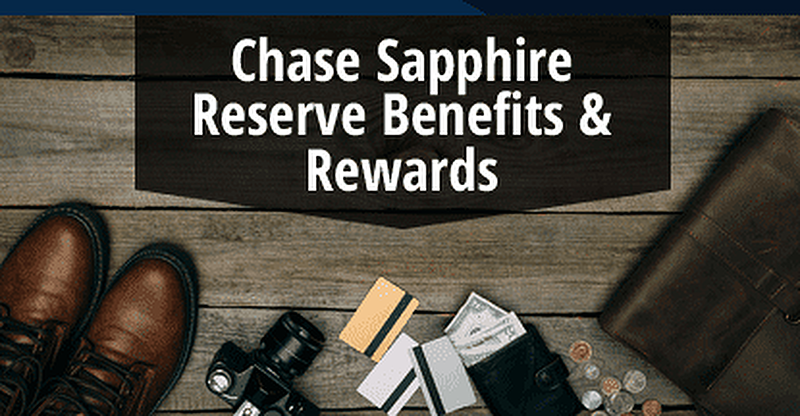 The Chase Sapphire Reserve® provides a huge range of travel rewards and benefits, including an annual travel credit, airport lounge access, and reimbursement for Global Entry or TSA Pre✓®. Chase isn’t the only one rewarding you for being a Chase Sapphire Reserve® cardholder, either. As a Visa Infinite® credit card, you’ll be granted a number of valuable Visa Infinite® benefits, including primary auto rental insurance, trip cancellation/trip interruption insurance, travel and emergency assistance, and emergency evacuation and transportation, as well as the Visa Infinite Concierge Service. Given that the intended audience for the Chase Sapphire Reserve® is the well-to-do traveler who can easily afford the $450 annual fee without batting an eye, it’s little wonder that the card is also designed for those with excellent credit. In fact, the average credit score of those immediately approved for the card was 767 — firmly in the “excellent” FICO credit score category. But it isn’t solely your credit score that decides your fate with any credit card, including the Chase Sapphire Reserve®. While your score is definitely a factor, Chase will also look at your income — you need to be able to reasonably repay any credit you use — as well as your current debts, the age of your accounts, the total credit limit across your current accounts, your credit utilization, and even your relationship with Chase. In part, the card’s high bar for qualification comes not only from being a Chase card (the bank is notoriously picky compared to other major issuers), but also from being a Visa Infinite® card. That’s because the minimum credit limit associated with most new Visa Infinite® cards is a whopping $10,000, so you’ll generally need to qualify for at least that amount to be approved for the Chase Sapphire Reserve®. That said, there is one qualifying factor that has nothing to do with your credit score which could stop you from being approved for the Chase Sapphire Reserve®, and that’s the Chase 5/24 Rule. Basically, Chase has a policy in place that means your application for a new Chase credit card will likely be instantly rejected if you’ve already opened five or more credit cards within the last 24 months. Despite the oodles of perks and benefits available to Chase Sapphire Reserve® cardholders, the card may not be for everyone, particularly those who don’t want to pay the large annual fee or who can’t meet the high credit requirements. In either case, you may want to consider a card that’s likely the next best thing to the Chase Sapphire Reserve®: the Chase Sapphire Preferred® Card. The metallurgic little sibling to the Chase Sapphire Reserve®, the Chase Sapphire Preferred® Card has a similar weight and feel, without the hefty price tag. For your $95 annual fee, you’ll earn 2X Ultimate Rewards® points per dollar on travel and dining, plus an unlimited 1X points per dollar on all other purchases. Plus, as a Visa Signature® card, Chase Sapphire Preferred® Card cardholders enjoy many comparable travel perks and benefits. The credit requirements for the Chase Sapphire Preferred® Card are a little more manageable for some than those for the Chase Sapphire Reserve®. The average accepted score for the Chase Sapphire Preferred® Card is around 741, and more than a quarter of accepted applicants had a score below 700. Lower scores will likely mean lower credit limits, though the Chase Sapphire Preferred® Card generally requires a minimum credit limit of $5,000 as a Visa Signature® card. If neither Chase Sapphire card seems like a winner to you — or you’re more firmly in the “good” credit category than the “excellent” one — you can still find a number of awesome cards to add to your wallet. Our list of favorite cards includes a number of solid travel rewards cards, as well as awesome options for cash back rewards if travel isn’t quite your thing. If you’ve ever struggled to cut food with a cheap plastic knife, then you know the same thing American Express — and the credit card world as a whole — learned with the launch of the titanium American Express® Centurion® Card: metal is better than plastic. But while we can’t all flash our Black Card when we hit the town, the Chase Sapphire Reserve® is a luxurious metal card that’s actually attainable for the everyday consumer. What’s more, the Chase Sapphire Reserve® is more than just a pricey metal-alloy gimmick. The card is one of the top-rated credit card options for travel rewards and benefits, offering top-tier perks that can make its high annual fee well worth the cost to those who travel enough to make the most of their card.